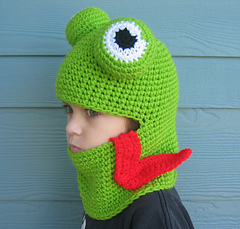 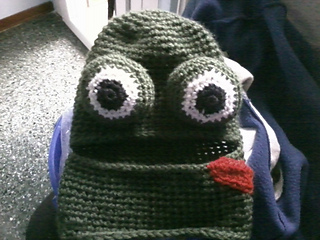 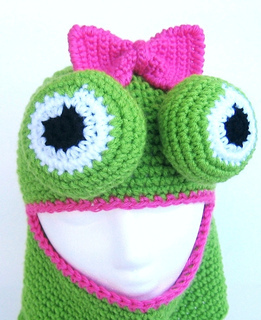 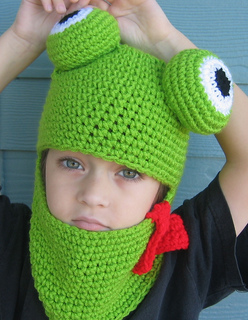 This Crochet Pattern makes a Hooded Frog or Chameleon Hat for either Boy or Girl. 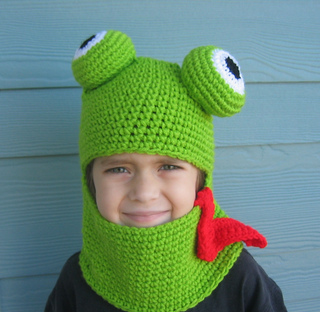 The hood is my original design which is all one piece and requires 6 to 7 ounces of worsted weight yarn. 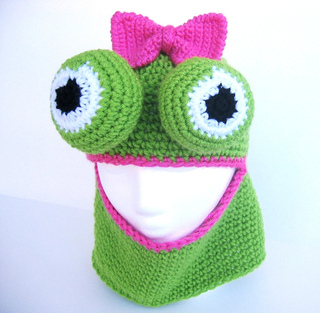 This Girl Frog pictured shows my original design for the Bow Tie.